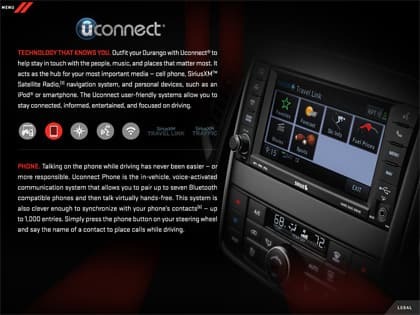 Learn how Uconnect® gives you complete voice command over your Bluetooth®- compatible phone, AM/FM radio, available SiriusXM Satellite Radio+, CD/DVD player and digital media storage players. Take a look at available Uconnect® Web+ by Mopar®, which turns your car into a mobile hotspot with WiFi connectivity. 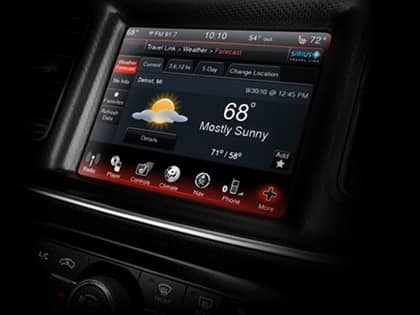 It provides complete access to email, websites and music, multiple device connectivity and a range of 150 feet from the vehicle. Ask for directions to a certain address or make a call without taking your hands off the wheel or eyes off the road. It's easy to stay connected while you drive. Access a favorite playlist on your MP3 player or USB drive with simple voice commands. 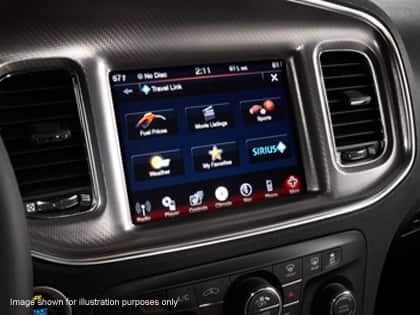 Enjoy SiriusXM Satellite Radio+ programming in rich sound. Uconnect® brings it all to you.